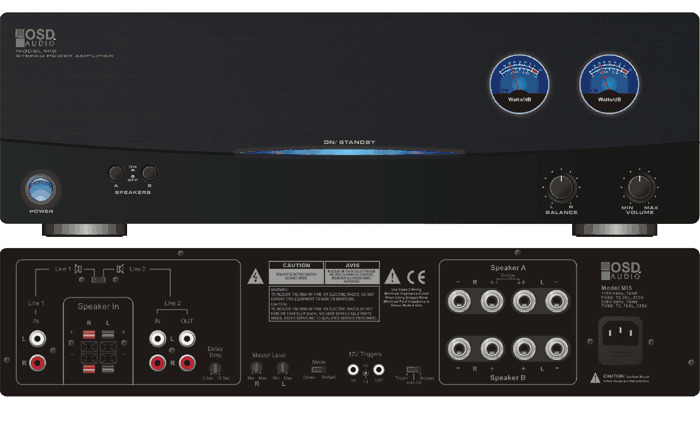 The OSD-AMP300 will take your surround sound audio from "nice" to "whoa" and is the perfect heavy-duty power amp for home theaters and whole house audio systems. This is a high current (2 Ohm Stable) two channel power amplifier that is overload stable. Overload stable means that if the amp senses too much current, it will cut back on the current but still run. This is a better alternative to just shutting down suddenly. It's ideal for use as a remote amplifier or as a single or dual zone amplifier and will give you more than enough power. It's all muscle but this amp has the finesse and features of some of the world's priciest designer amps. The first thing you'll notice about the OSD-AMP300 is the ultra study build quality and beautiful finish. The illuminated voltage meter is also a nice touch that looks great in A/V equipment racks. Customers who purchase this workhouse of an amp love the built like a brick construction, and appreciate the the high end features found in amps that cost three or four times more. 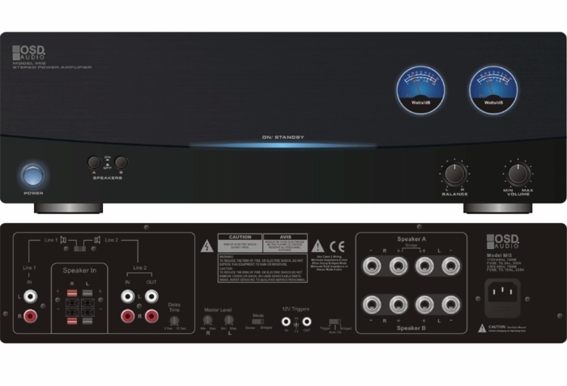 Features particularly favored by professional AV installers include 150 watts RMS per channel with complete custom installer feature set, built-in dual voltage meter, bridgeable outputs for 470 watts RMS total output power, dual line-level inputs with priority override and auto-on signal sensing circuit/12-volt trigger.